Google's Chromebook project has evolved in a really interesting way since its first public announcement in December of 2010. 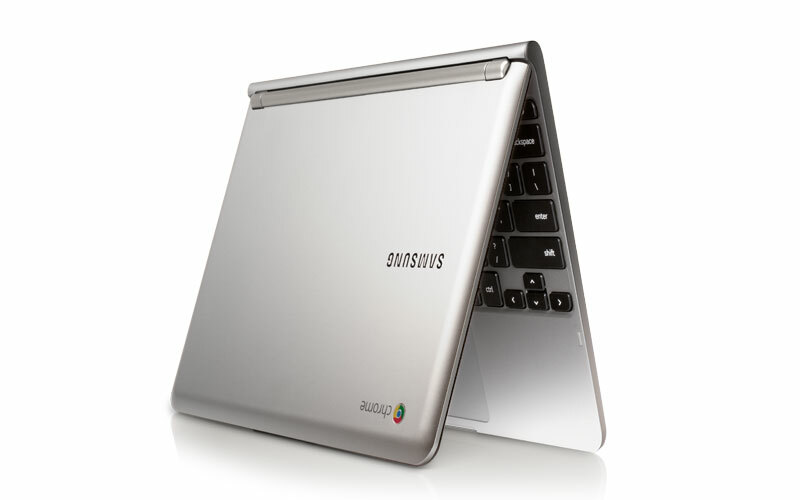 When the first Chromebook (the CR-48) was released, I was midway through my interviews for a position at Google. I can vividly remember excitedly asking my interviewer their thoughts on ChromeOS while also expressing my own delight at the prospect of being able to go 'all-in' as a consumer on cloud services. When I actually did start as a fulltime Google employee in March of the following year, I was quick to signup as a dogfooder for the ChromeOS team. In April of 2011, four months after first hearing about ChromeOS, I was thrilled to finally get my hands on a CR-48. For those unfamiliar with the concept of a Chromebook, the premise is fairly simple. Rather than being dependent on a traditional operating systems like Mac OSX or Microsoft Windows, why not just remove the physical desktop altogether and push users onto an OS that lives in the cloud? In concept this is a fantastic idea. In practice, it is extremely difficult to execute upon successfully. For example, instead of manual system updates and new OS installations every few years, Chrome updates automatically on its own every couple of days! Rather than waiting for a traditional OS to slowly boot up, in most cases ChromeOS boots in under 6 seconds. Instead of dealing with viruses, the sand-boxed Chrome environment and update schedule eliminates viruses and spyware altogether. Finally, logging into a Chromebook with a Google account (for most users just your @gmail.com email address) automatically incorporates all of your settings, bookmarks, Chrome Store apps, documents, etc without the need for manual syncing. For users heavily invested in the larger Google eco-system, there really is a lot to love when it comes to Chromebooks. All that having been said, my initial impressions of the CR-48 I received were lackluster at best. The hardware was woefully underpowered (in most cases opening more than a few tabs in Chrome would crash the OS altogether when it ran out of memory). At that early stage, the software itself was also lacking a lot of fundamental features that users of more tenured operating systems might take for granted. At the most basic level, the first time I used ChromeOS it even lacked a traditional offline file manger. That not to mention the majority of Google's cloud services also didn't fully support offline functionality. For example, if I had been editing a document with Google Drive and suddenly dropped my connection to the internet, I lacked a way to save the work I had completed and sync it at a later time. Without a consistent internet-connection, the first generation of Chromebooks essentially became expensive paper-weights that lacked the means to do anything meaningful whatsoever. I stuck with my CR-48 for several months until Google upgraded me to a newer model Acer AC700. Despite improvements on the software side like offline syncing of applications like Drive, Gmail, Calendar, and the NYTimes Chrome Reader, the overall user-experience on ChromeOS still lacked the polish I needed for a dedicated operating system. It didn't help that for all the improvements on the software side, the hardware still had a long ways to go. The Acer AC700's keyboard was atrocious. I don't say that lightly either, it is literally the worst dedicated keyboard I have ever had the displeasure of using. The trackpad on the Acer machine was similarly awful. More than anything else in an operating system, I look for responsiveness. By comparison, the sensitivity of the trackpad on my Macbook Pro is currently maxed out. After several months of casual-use with the 2nd generation chromebook hardware, I turned in my device and moved on. Fast forward from to two weeks ago. Google announced, with great fanfare (and their first serious Chromebook advertising campaign), the fourth generation of Chromebook devices. The new Samsung model, the 11.9" XE303C12, was priced to sell at $250. The low price, improved hardware, and favorable reviews led me to rethink ChromeOS. I surprised myself by purchasing one even after I had sworn off the platform. Although I made this purchase with reservations, something amazing happened in the days following the arrival of the Samsung Chromebook at my house. I stopped using my Macbook Pro as my primary machine. 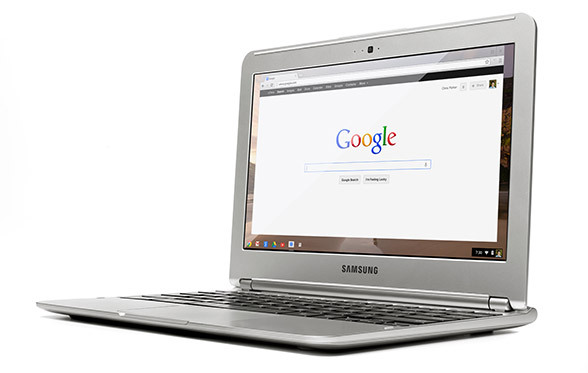 First and foremost, the new Samsung Chromebook is a freaking screamer when it comes to processing power. Whereas my previous two Chromebook's were based on Intel's Atom x86 chipset, the Samsung Chromebook is built around a Samsung Exynos ARM processor (not unlike the new Microsoft Surface RT). For the first time ever, the new Chromebook runs ChromeOS without noticeable lag. The machine also isn't just beautifully built on the inside, it looks beautiful as well. The keyboard is a pleasure to type on, the trackpad is responsive, and the device is light and thin. On the software side, I was also pleasantly surprised to see how much ChromeOS had evolved in the past year. The file manager for the Chromebook's physical solid-state drive automatically syncs local files with Google Drive. Purchasers of the new device also receive 2 years of 100GB's of storage space in Google Drive for free. Most importantly, Google is really starting to consolidate themselves around the concept of "one google". Whereas when I first started using ChromeOS over a year ago, each Google service and product felt somewhat disparate from one another, this is no longer the case. Logging into a Google account on a Chromebook today really drives home that I am logging into all of Google, and that is a remarkable shift. All said and done, there are a number of awesome Chromebooks at several price points currently for sale on Google Play. For the first time ever, I can now recommend with confidence that you would be doing yourself a favor in buying one. Posted by Patrick Dugan on November 17, 2012 .